2014 was jam-packed with some amazing moments. I traveled to Europe for the first time, I landed an exciting new job, and met some remarkable people along the way. BUT, of all the moments I experienced, this was by far my favorite! 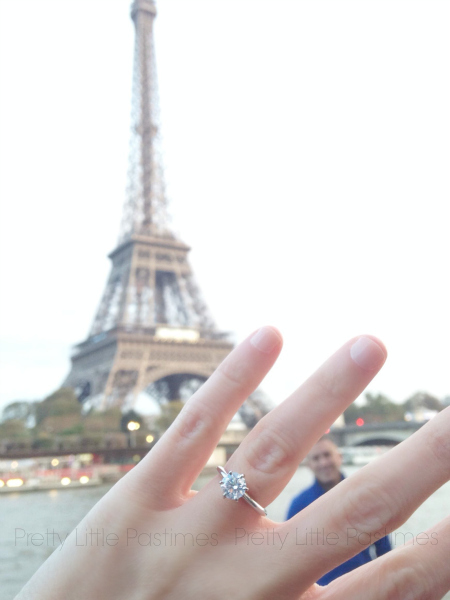 There may only be one thing that could top getting engaged in Paris and that is becoming a Mrs. to my wonderful Mr. Here’s lookin’ at you, 2015! Wishing each of you the happiest of New Years! As I prepare for the Big Day, I will be sharing some fitness tips, DIY projects and wedding planning tips right here. Thank you for following along! Congratulations! Great pic and beautiful ring! Congratulations!!!! I’m so happy for you!